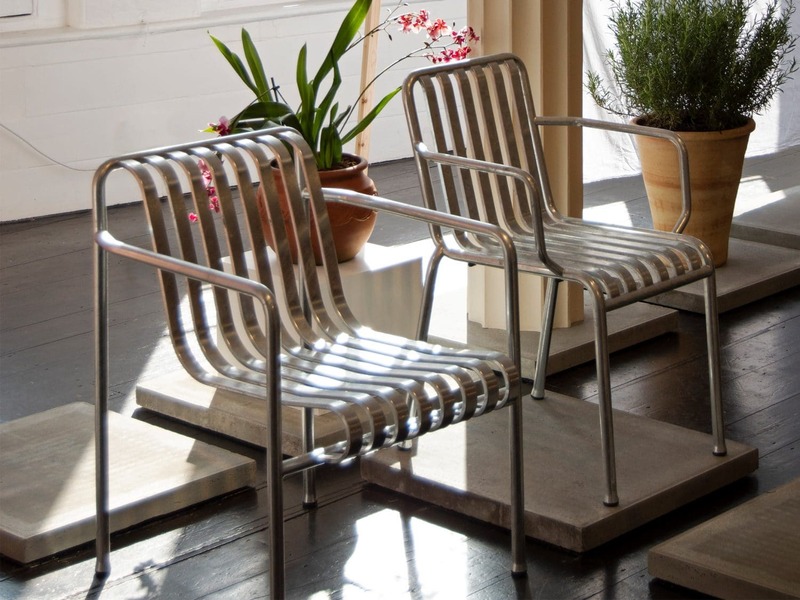 In March 2019, Danish design company HAY launched their Palissade Collection in a new Hot Galvanised Edition. 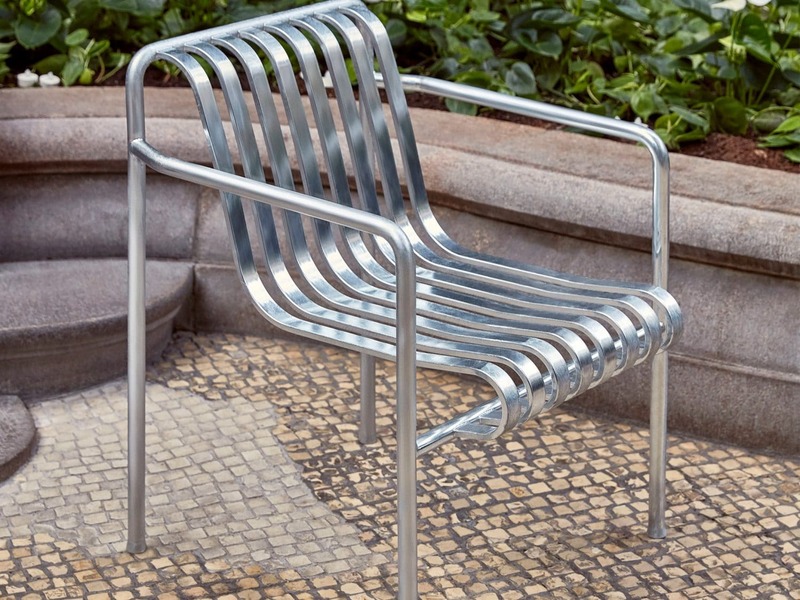 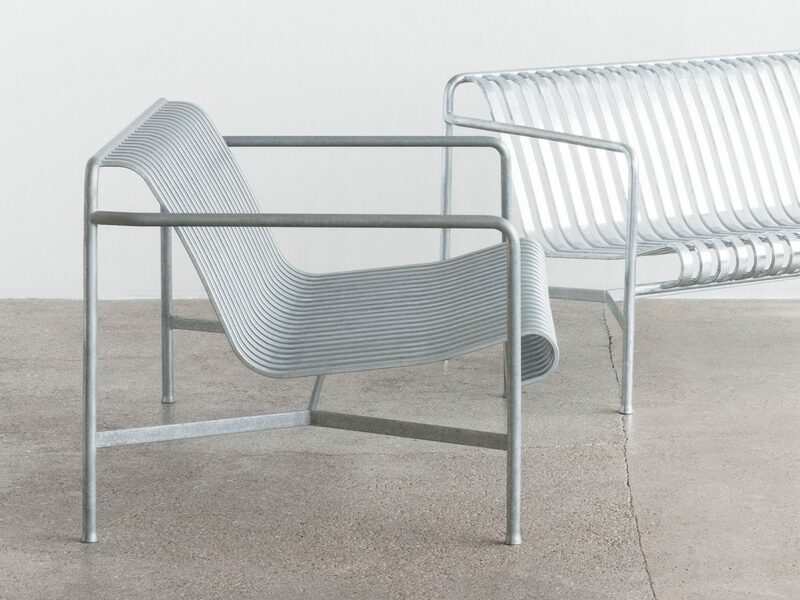 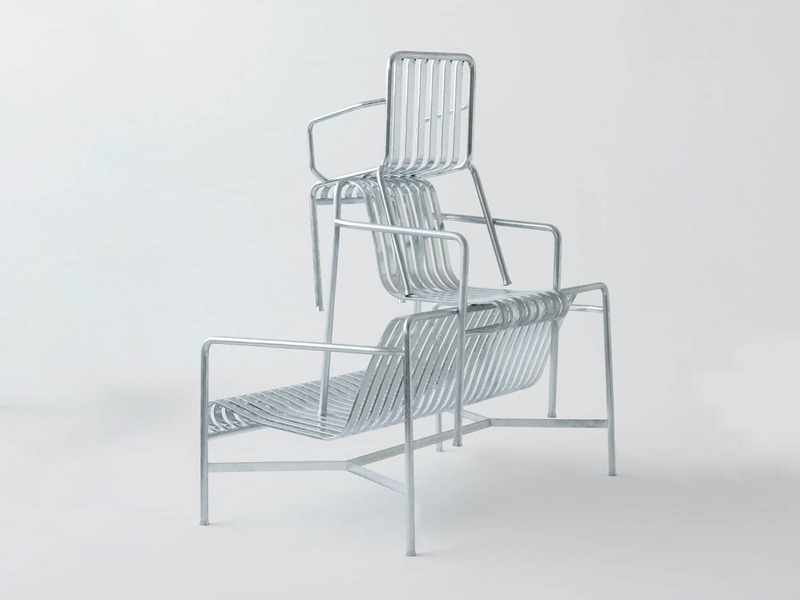 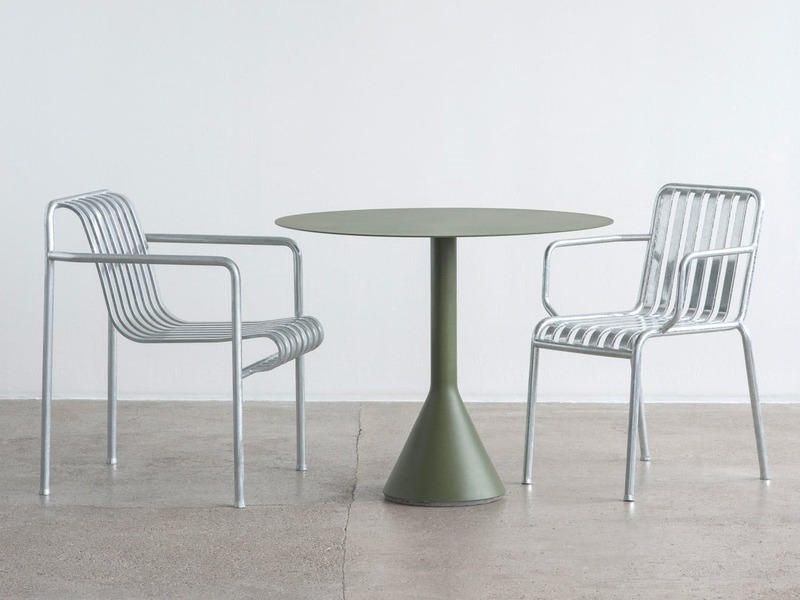 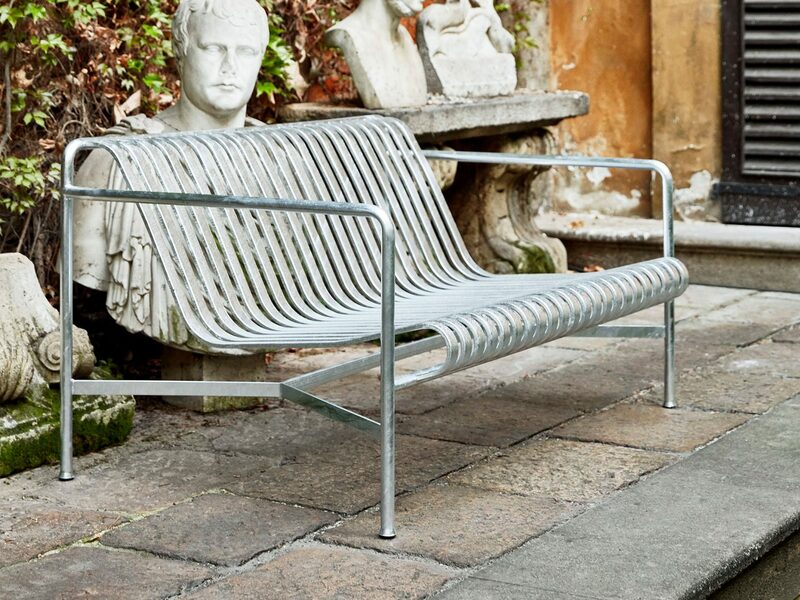 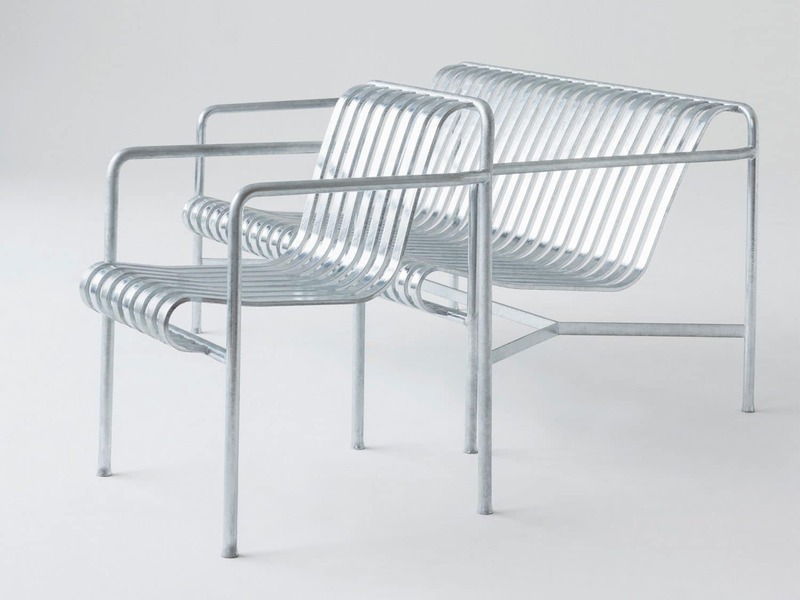 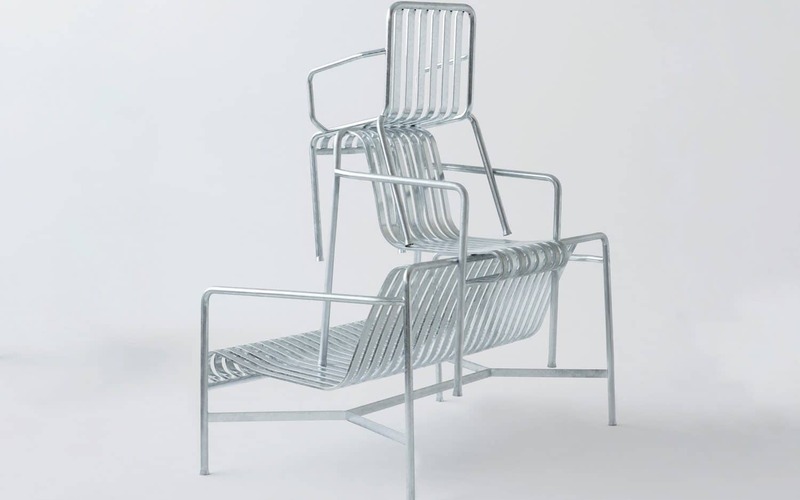 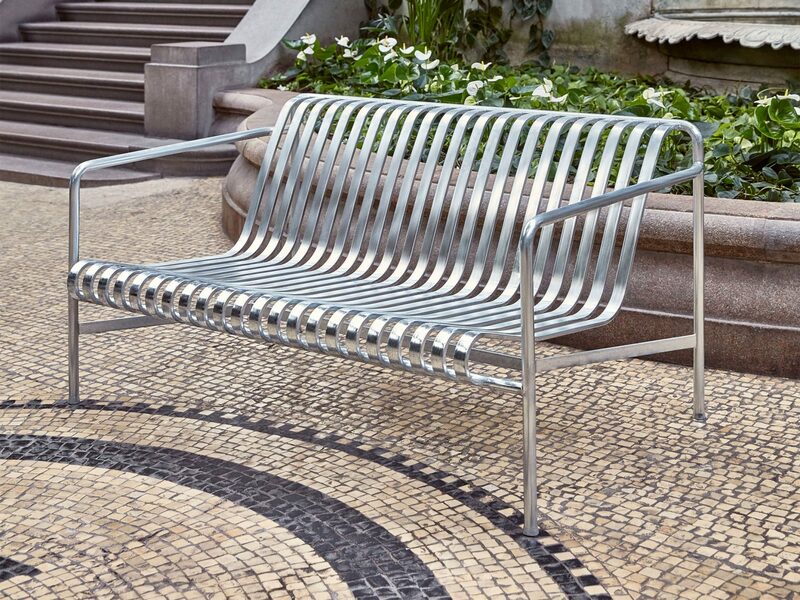 Designed by Ronan and Erwan Bouroullec, the hot-dip galvanised range was developed to supplement the existing Palissade collection of outdoor furniture. 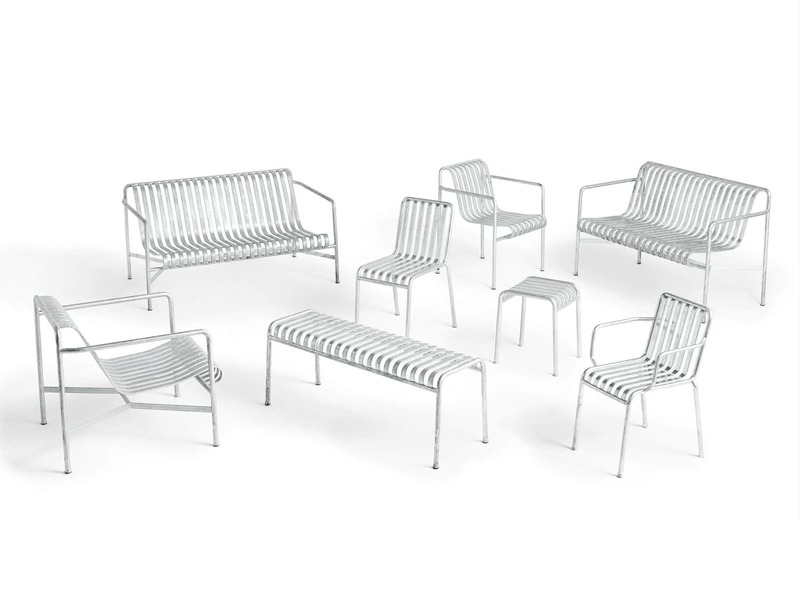 United by a common principle of symmetrical geometry, the collection is engineered to reproduce the same visual simplicity and core strength throughout. 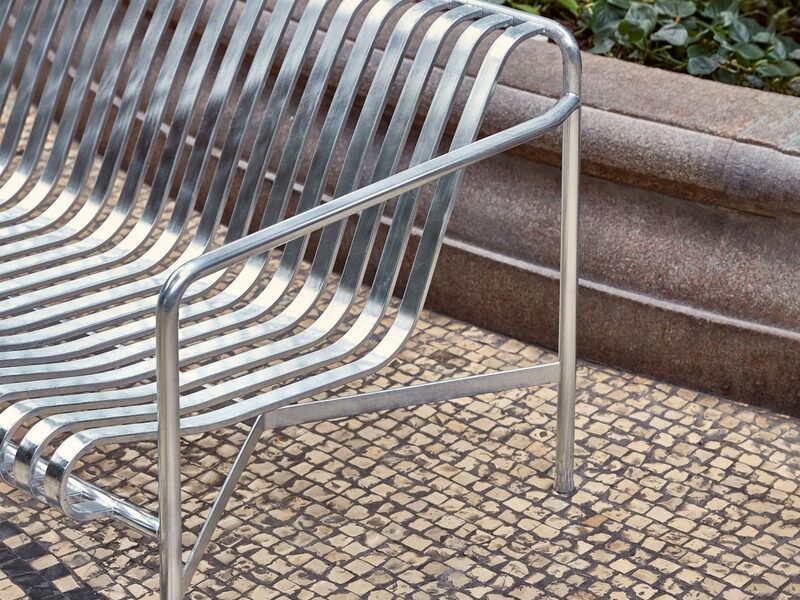 Designed in colour and form to integrate effortlessly into a natural landscape or urban setting, Palissade is intended to be used over a longer period of time and become more beautiful over the years. 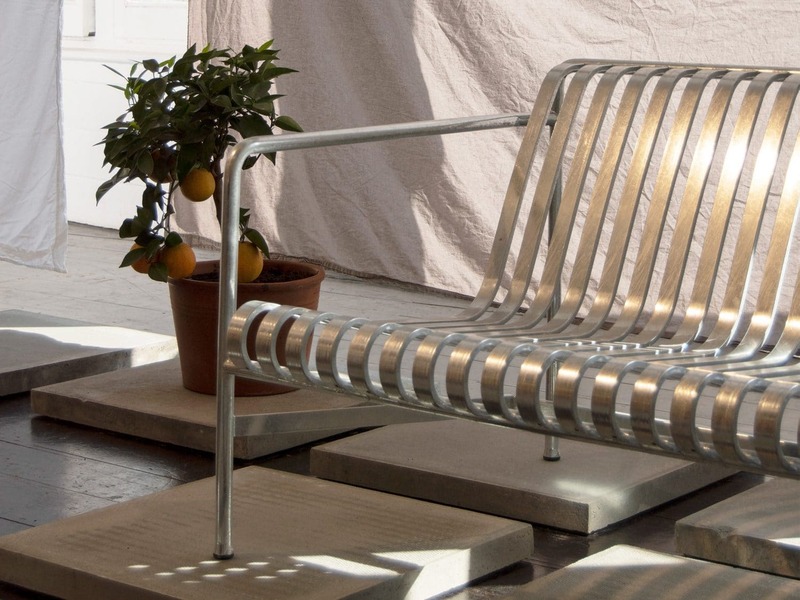 The furniture’s longevity is greatly extended by the hot dip galvanisation process, where the steel frames are dipped in molten zinc, forming a resilient coating over the entire steel surface, protecting against corrosion and offering a maintenance-free finish. 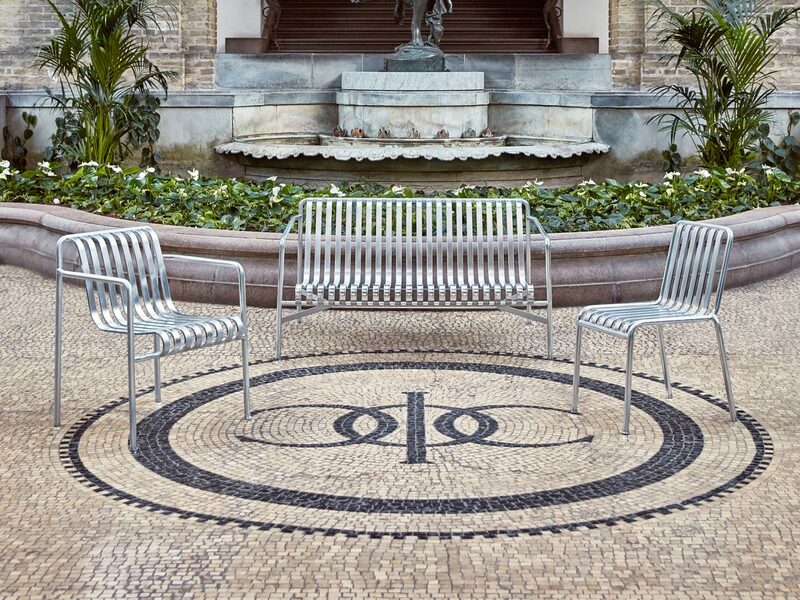 The collection is particularly suited to outdoor cafés and restaurants, public gardens or urban spaces. 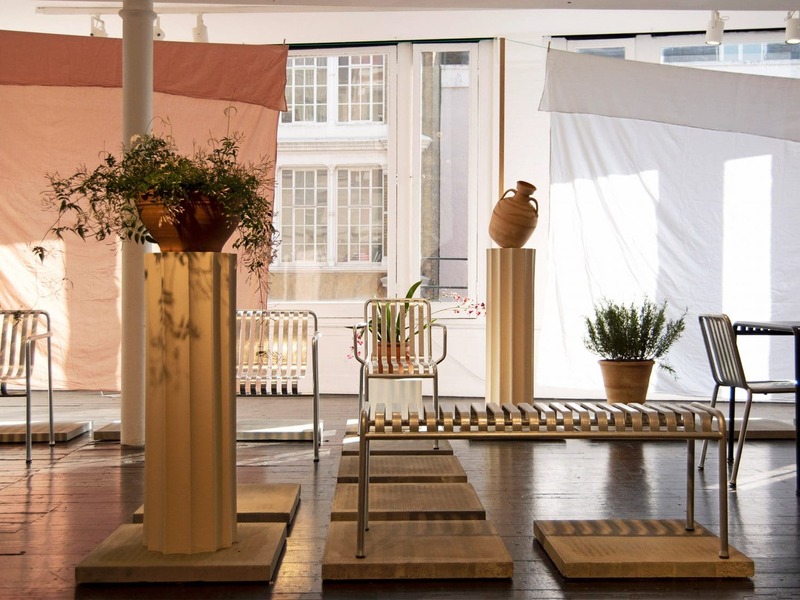 Explore our Palissade Exhibition at SCP Curtain Road from 30 March until 10 April 2019. 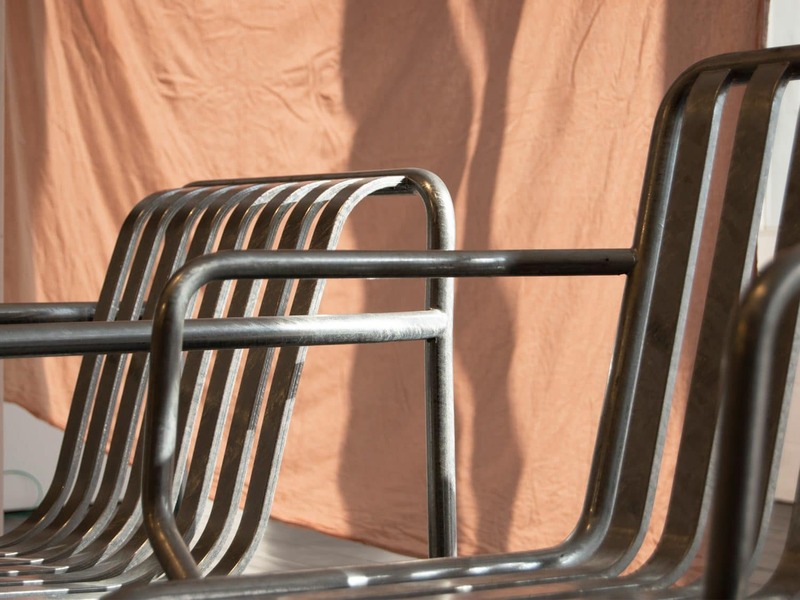 On 4 April 2019, SCP will host a launch evening and talk with Rolf Hay. 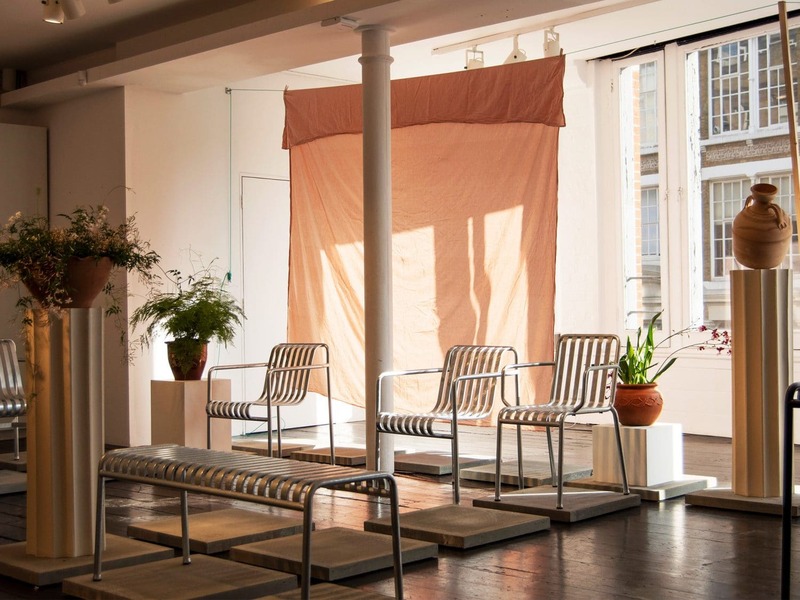 Join us from 6.30pm and be sure to RSVP here.